In the past, I’ve spoken in great detail on the value of attribution management. Indeed, having a proper attribution model is crucial in improving the return on your ad spend. But simply having access to data isn’t enough… You need to act on that data if you want your knowledge to bear any fruit. Thankfully, with tools like Acquisio, it’s easy to turn the attribution data that we get from the platform into action. 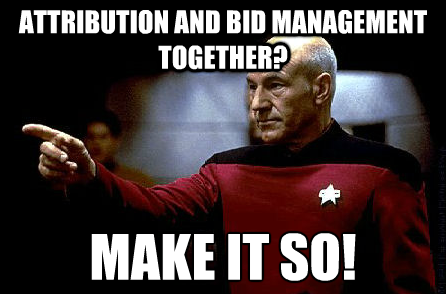 We simply need to combine our attribution data with advanced bid management. Before I dive into some of the specifics of how to tie attribution data into your bid rules and algorithms, it’s important to note the role of automated bid management in optimizing an online advertising account. 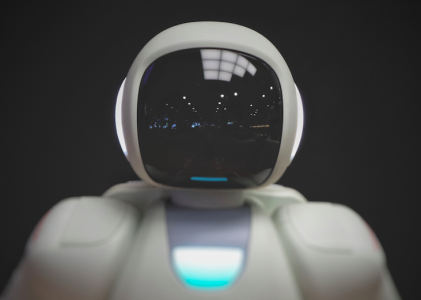 While bid automation plays a major role in improving ROI (and certainly plays a major role in improving your efficiency), it is not a replacement for tweaking your keyword selection, pausing off underperforming ad creatives, and adding negative keywords. So while integrating the suggestions that I’m about to describe will definitely help, don’t forget about some of the other optimization tactics that we’re all familiar with. Use the Score Revenue Metric – Score revenue is the *actual* value that each keyword, ad group, campaign, or channel has contributed to your business, based on the attribution model that you have defined. Basically, the metric tabulates values across each of the different conversion types that you have defined in Acquisio, so that you can take into account the value of both micro and macro conversions. You can add this metric into basically any bid rule! Use other attribution metrics – Acquisio gives us the ability to add in introducer, influencer, and closer counts and values into our bid rules and algorithms. You can use these metrics to really align your bid rules to the buying cycle. Here’s an example of an actual rule designed to bid up closers that convert, and bid down those that don’t. Note that I also have additional rules for influencers and introducers. Select an appropriate lookback period – By definition, a lookback period is the amount of data that the system will use to evaluate your keywords against your bid rules. While our natural tendency is to generally use short lookback periods (say, 7 days or a month, for example), on an attributed basis, it’s important to lengthen this out. The reason is simple… If customers lag a bit before squeezing the trigger, it’s going to take time for introducer and influencer counts and values to appear. I like to use 60-90 days as a lookback period on keywords/ad groups that I know have a tendency to introduce or influence a conversion as opposed to closing, so that I can capture as much information as possible into my bid rule. Consider structuring your campaign buckets around the buying cycle – We all know that certain keywords exist at the higher end of the funnel. These keywords will tend to be categorical in nature, as opposed to being brand or product specific. So, consider taking all of the keywords that fall into this bucket, and grouping them into one (or more) unique campaign containers. This will let you easily apply attributed bid rules properly to each bucket. 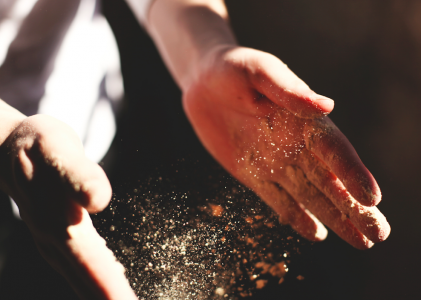 So there you have it… Four easy ways to blend attribution data into your bid rules to improve performance. There are a number of other ways to do this, so I’d love to hear your feedback on other cool bid rules that you’ve set up. Is Twitter’s New Charitable Offering Worth it for Nonprofits?